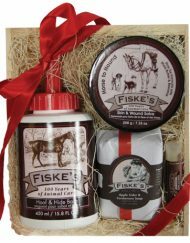 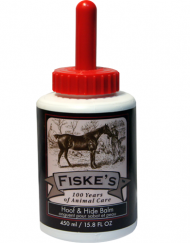 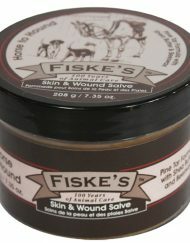 Fiske’s Hoof and Hide Balm has been tried and tested for over 100 years. 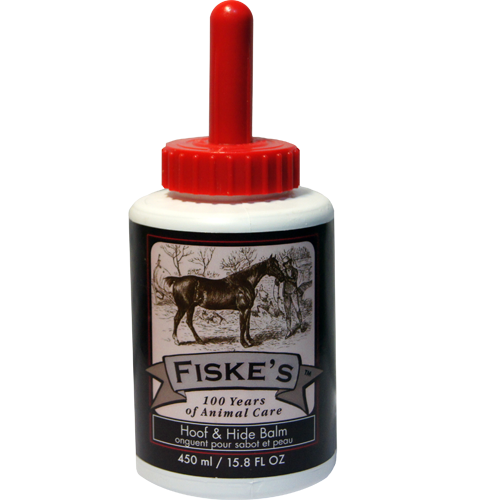 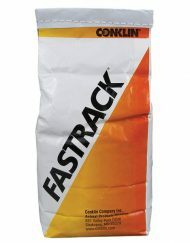 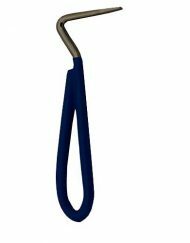 It is a 100% natural, multi-purpose solution which covers the three basic needs of horse care maintenance: the hoof, the hide and the muscles. 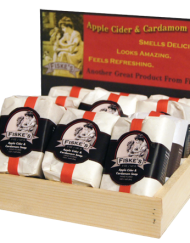 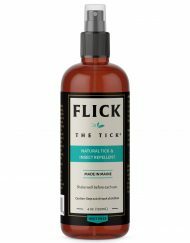 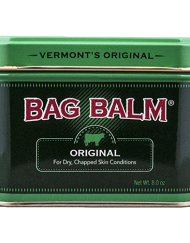 The blend consists of cooling herbs, pure essential oils, pine tar and menthol combined in a non petroleum base that is thickened with raw beeswax. 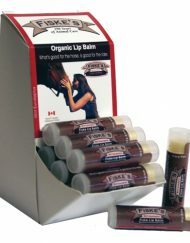 *450ml and 1L containers have an applicator brush, the 2.5L container is a refill and does not.